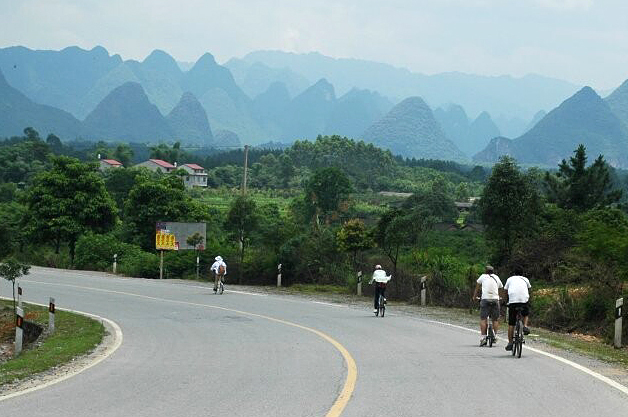 In this Guilin tour, you'll visit the most classic attractions of Guilin. Also, you'll be arranged to a Muslim restaurant for your dinner. Come and join in the trip designing specially for Muslims! Upon arrival at the Guilin airport, our professional guide will meet you and transfer to the hotel. V. Dinner at the local Muslim restaurant. After breakfast, drive to visit Yushan Park, where you will see a big temple in respect of Emperor Yu. Then proceed to explore a tea farm at the city outskirt. In the afternoon ,visit Elephant Trunk Hill, stroll around central lakes to see the local people’s life and amazing sceneries. Optional programs of cormorant fishing, foot massage, etc. 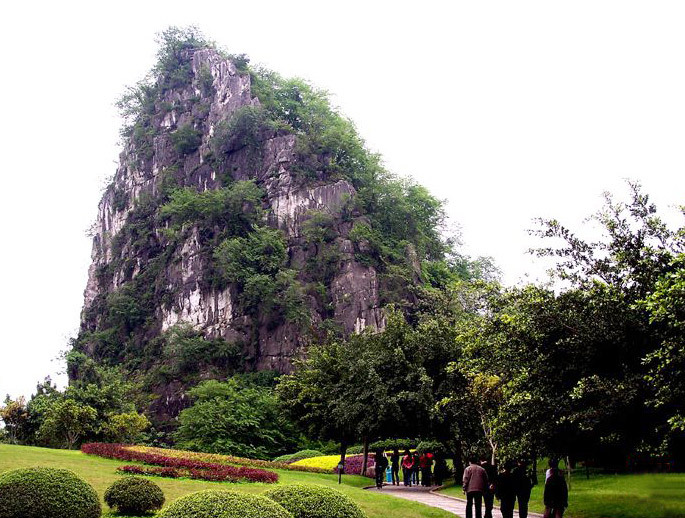 Elephant Trunk Hill is located on the western bank of Li River,Guilin. 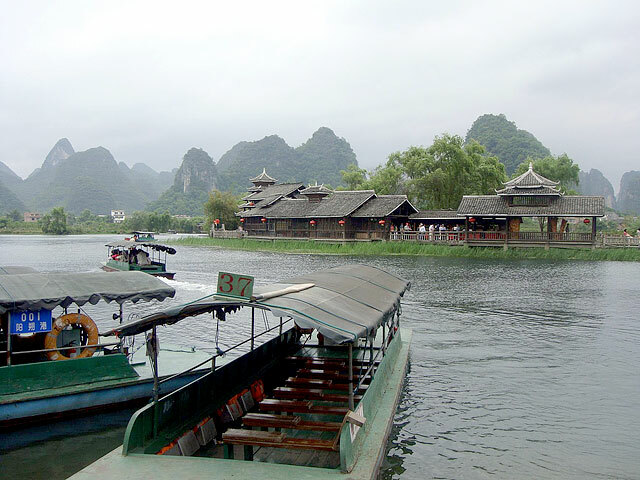 Drive to Yangshuo, visit Shi Wai Tao Yuan (Shangri-La Park) and take a boat ride to explore the theme park. 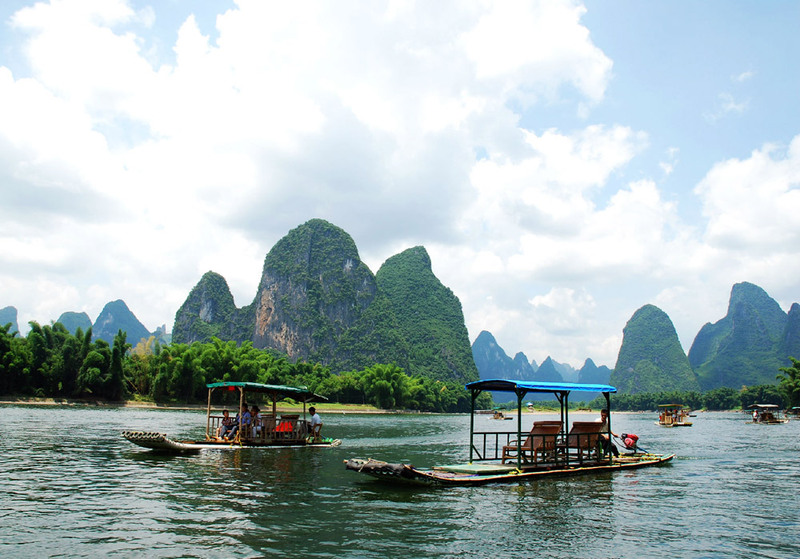 After lunch, take a cruise along Li River via either a tourist ship or bamboo raft. Rest of the day is free for your own exploration and shopping at West Street. Optional Impression Liu Sanjie show. 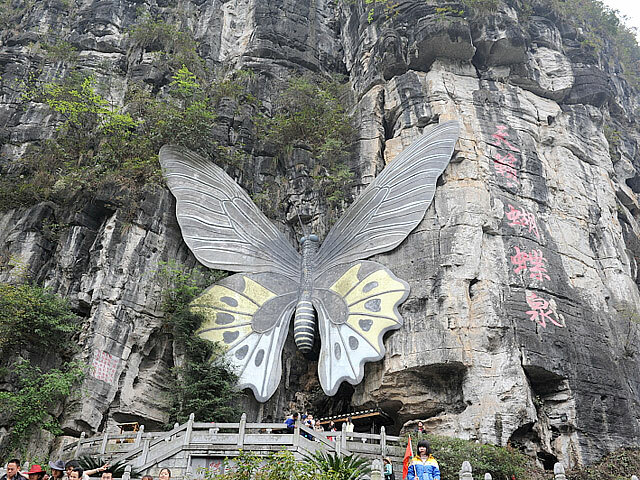 Drive to visit Butterfly Spring Park, where you can not only see all kinds of butterfly specimen, but also the stunning landscape inside. Then proceed to see the 1400-year-old Banyan tree, where the movie Sister Liu Sanjie was filmed. 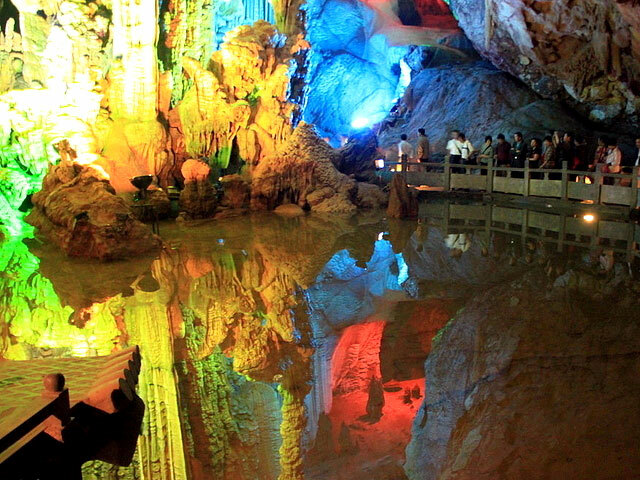 After lunch, drive to visit Silver Cave, which was first open to the tourists in 1999, and one of the prettiest caves in Guilin. Then drive back to Yangshuo, free time at the rest of the day. Thank you for requesting our Guilin tour for Muslim. This is a private tour, price is according to your group size and travel dates. All of our itineraries are customizable, and free of charge before making a booking, so please feel free to let us know your requirements and expections for the trip when get our travel consultant's email. Hi , I am interested in Muslim tour to Guilin for 4 adults...can you email the itinerary. I plan to go in December. How’s the weather in December? Glad that you're interested in this Guilin tour for Muslim. 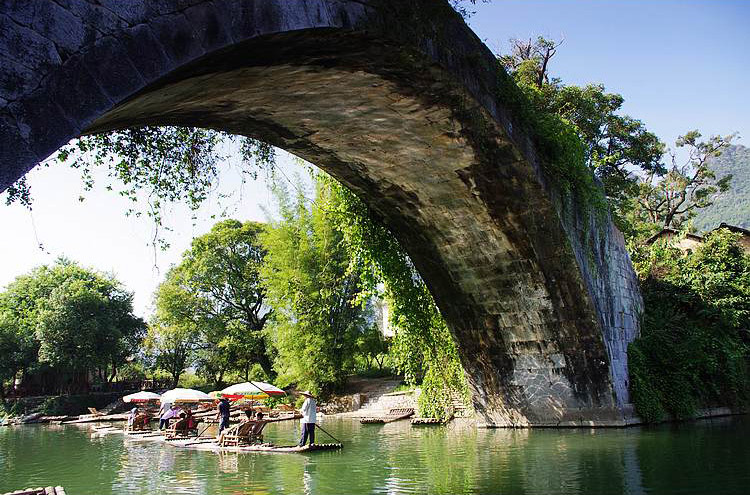 December is dry season and a little bit cold in Guilin, monthly mean temperature is 7℃. But there is no problem to take a good trip in Guilin and Yangshuo. 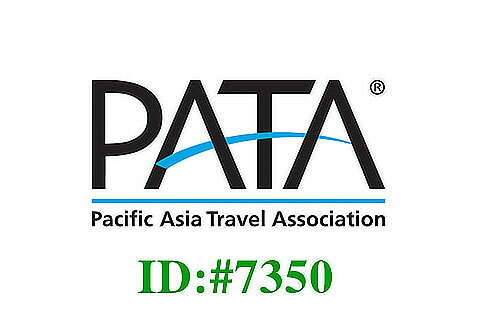 Our travel consultant will contact you via email to offer more details. We would like to travel somewhere in September-October 2018. Could you email me a quotation with 4 pax package that include accomodation and meal? would prefer during best time to see the cherry blossom in Guilin 2018. Could you email me a quotation with 4 pax adult and can I extend one more day free and easy package that include accomodation and 1d1n meals ? And please include flight ticket too. Will visiting on 26th August till 31st August. Thanks so much for contacting Guilin Holiday. We are so glad to be of service to you. Regarding your tour inquiry, our travel specialist will be in touch with you soon via email. We are so glad to be of service to you. For your requested 5-day Guilin Muslim Holiday, our travel specialist will be in touch with you soon via email. Have a great day there! I will be visiting Guilin with 4 other members on 30/8 till 3/9 16. 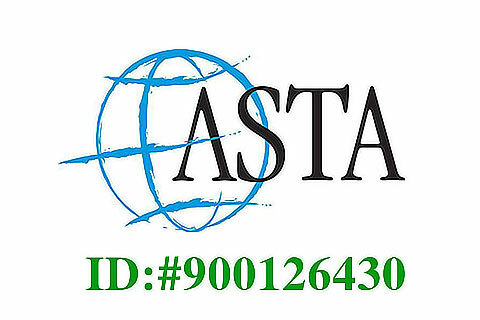 We will book our own hotel arrangement but would like to join your above muslim tour. We don't mind sharing tour with another group. Please let us know your quotation with full details as soon as possible. Thank you. Thank you for visiting our website. We are happy to be at your service. 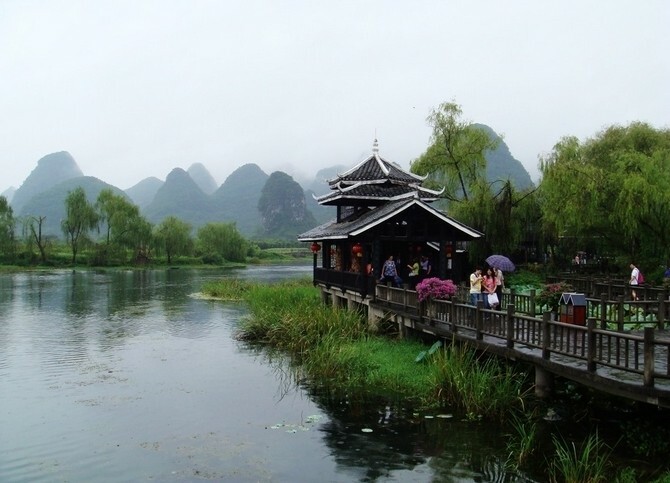 Regarding the Muslim tour in Guilin, our travel consultant will contact you soon by email. my husband and I will be visiting guilin April 11 until April 16. We will book our own hotel arrangement but would like to join your above muslim tour. We don't mind sharing tour with another group. Please let us know your quotation with full details as soon as possible. Thank you. We are so happy to be of service to you. 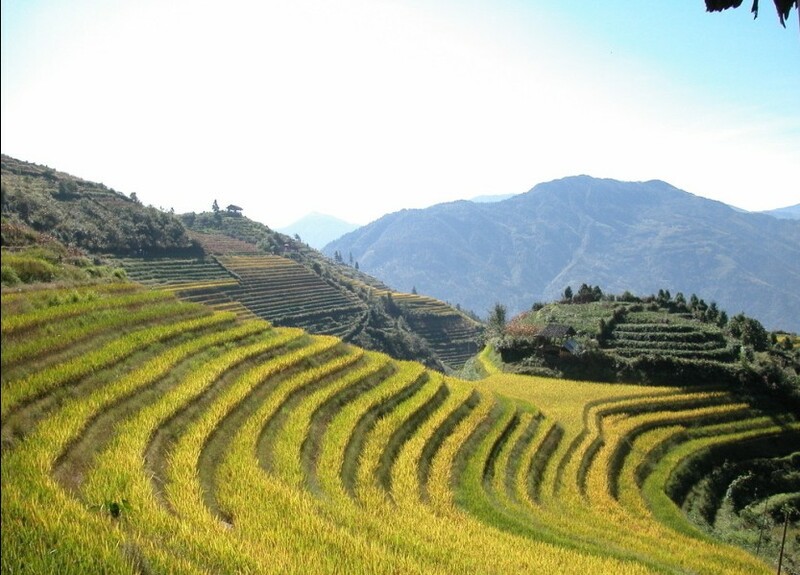 Regarding your trip to Guilin, our travel specialist will be in touch with you soon via email. Appreciate if you could provide a quotation for 2 adults via email. We are so pleased to be of service to you. As to the tour cost and other info, our travel specialist will be in touch with you soon via email. Have a nice evening there! We are so glad to be of service to you. Regarding the tour cost and detail, our travel specialist will be in touch with you soon via email. I would like to know how much will it cost for 4 Adults? 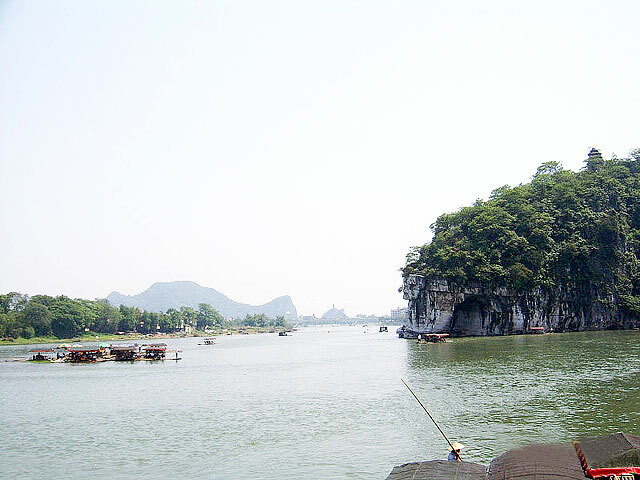 And what is the best season for tourism in Guilin? We are very pleased to be of service to you. The best season is the autumn time (September, October-except the first week due to the national holiday, November). Regarding your trip to Guilin, our travel specialist will be in touch with you soon via email. Have a nice afternoon there.